Her thirtieth birthday is getting closer by the hour, but she's still crushing big time on her first love. The problem is her childhood crush is now her BFF Millicent – don’t call me Millie- Merriweather has had a thing for Tom Franklin since she was twelve years old. At the time he was a senior in high school, which meant her dreams of being his girl weren't meant to be. Until Merri by Suzanne Halliday is part of the 'Happily Ever Alpha World' Series. This is the story of Millicent Merriweather and Tom Franklin. I have been jumping in and out of the series, so for me this is a standalone book series. Millicent has had a crush on Tom since she was about 12 years old. Now in the present day they are both in the friend zone but she wishes for more. Tom is now divorce and not interested in dating but he would like to get out of the friend zone with Millicent and ask Until Merri by Suzanne Halliday is part of the 'Happily Ever Alpha World' Series. This is the story of Millicent Merriweather and Tom Franklin. I have been jumping in and out of the series, so for me this is a standalone book series. Millicent has had a crush on Tom since she was about 12 years old. Now in the present day they are both in the friend zone but she wishes for more. Tom is now divorce and not interested in dating but he would like to get out of the friend zone with Millicent and asked her out to dinner to honor his dad...will the start their chance to be more than friends? 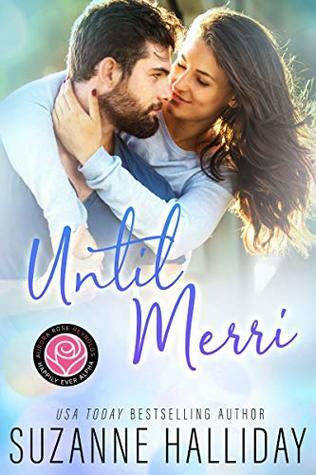 Until Merri by Suzanne Halliday is part of Aurora Rose Reynold's Happily Ever After World and this book fits right in. Merri - Millicent Merriweather and Tom Franklin are friends, best of friends for a long time. And Merri had a secret crush on Tom for the longest time. What she doesn't know is he's crushing on her too. But they were strictly off limits, because siblings are friends with Tom and so. Until Merri is a witty and fun read, a novella, friends to lovers romance. 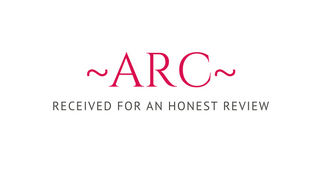 I liked the story, the w Until Merri by Suzanne Halliday is part of Aurora Rose Reynold's Happily Ever After World and this book fits right in.